School Girl Hair Dressup Salon is a perfect hair dressup and baby girls makeup game. If you love to play kids hair salon games then it is the best place where you are. You just have to install this girl hair makup game and start hair dressing and making awesome kids hairstyles. School girls in this modern hair salon app are very curious for their new haircut after the vacations. This hairdresser & design game will let school girls and kids to apply pins, shower, towel & hair catcher. School girls wants their haircut and hairstyles from top haircut salon of city. School girls can select fishtail, hot french braid as well. You can also make kids hairstyles and dressing up in school bathroom or classroom with fun. You can do your hair on the school bus or in the park by just installing our princess doll hairstyle app for free. School girls usually want to have classroom student’s hair styles in front of school teachers and professor. It is the free haircut and dye, hair blower game modern hairdresser and beauty salon. Get this kids hair parlour app from google play store for free. While hair style and modern makeup, pick stick with neutral hair colors while applying eye shadows. It’s cute and playful kid’s makeup game with school girls in classroom. Use Stick to conceal, not foundations. You can also add headband while hair dressing, and carefully place it about half inch away from hairline. Now hide the elastic, if you have kids long hair and few pins, you can mail elastics used to fasten your baby hair. You can fasten your bun with another rubber elastic on the girl hair. You can make your braided bun secure with hair clutch. 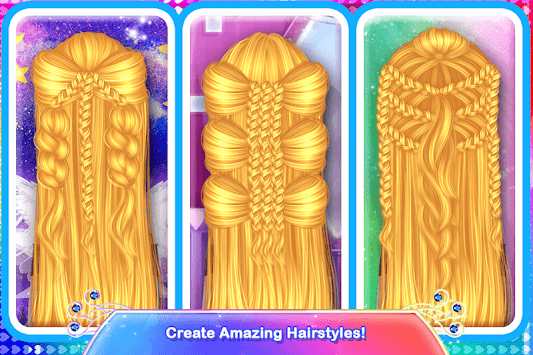 You may try a basic hairdo braid your hairs design in this school kid hair salon game. You can choose different hair colors to dye hairs for your different hairstyles. 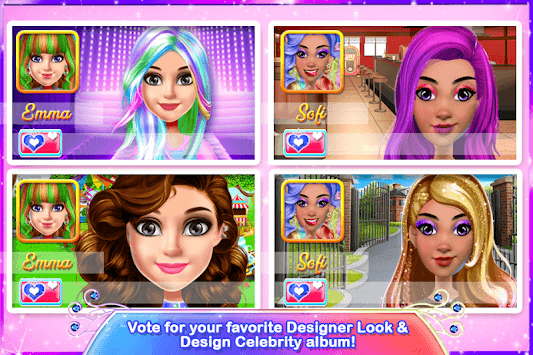 It is free educational and stylish hair dresser game for makeup artist, makeover and dress up for girls. Smooth hair brush, clutch and shower controls are designed for everyone. Anyone can learn hair dressing & haircut and become expert school girls hair barber by just installing this game. It is totally free kids hair styles and dressing app. Make magical hairstyles and dye hairs with amazing colors available in the app. This my hair salon app would help you a lot in dressing your hairs at home without going to city hair salon or hair parlour. Implement new hair ideas on school girls and make them beautiful. HOW TO PLAY School Girl Hair Dressup Salon GAME? Just install this School Girl Hair Dressup Salon app and play it free. Give your feedback after playing this amazing hair dressing app. It will be helpful for us. School girls hairstyling and makeup artist salon! Back breaided hairstyles hairdresser salon bookings! Fashion hairstyles fun with friends and family! 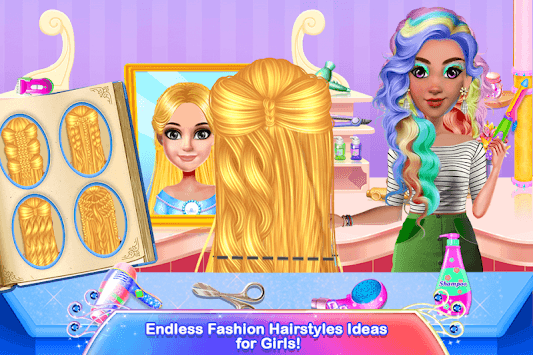 Enjoy & download free hairstyles girls games!